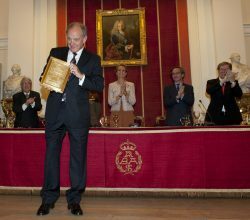 It was first awarded in 2012 in a ceremony held at the Real Academia de Bellas Artes de San Fernando (Madrid), where it has been held each year since then. 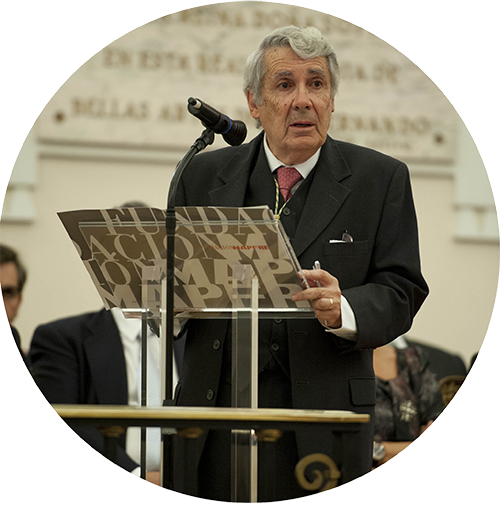 In 2017, thanks to the collaboration of the Fundação Serra Henriques and the Ordem dos Arquitectos, and with the high patronage of His Excellency the President of the Portuguese Republic, the prize was extended to Portugal, being granted to practitioners in either of the two countries. 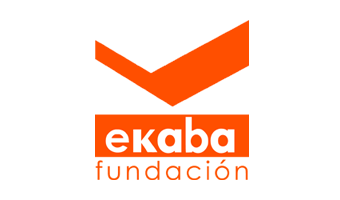 This award does not intend to honor the architects whose works best represent the latest architectural trends, or those whose interventions involve avant-garde transformations of our heritage. On the contrary, it is addressed to those architects whose work has contributed to the preservation, continuation and adaptation to contemporary needs of the building, architectural and urban traditions which define the identity of the places where they were built. Thus, they are practitioners who, instead of seeking notoriety and novelty through their works, play an important role which is not sufficiently honored because the results, often remain unnoticed, precisely due to their evident continuity with the past. 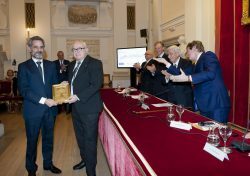 This award is trying to rectify this situation in both countries, honoring those who have been developing this kind of work, and helping to promote a better practice in the preservation works of our architectural and landscape heritage, while its particular traditional identity is more threatened than ever because of the progressive homogenization it is suffering. 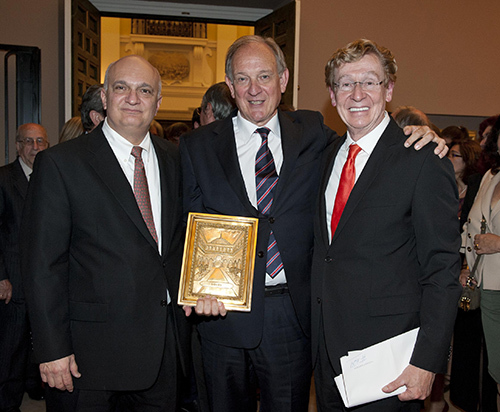 The winner is awarded a €50,000 prize and a commemorative plaque, thanks to the generosity of the American philanthropist Richard H. Driehaus. The award is named after the architect Rafael Manzano Martos, who has devoted his practice to the preservation of the Spanish architectural and urban heritage both through restoration works and designing new architectures based on this heritage, what lead him to win the international 2010 Richard H. Driehaus Prize, becoming the first and by now the only Spanish architect having received this award. 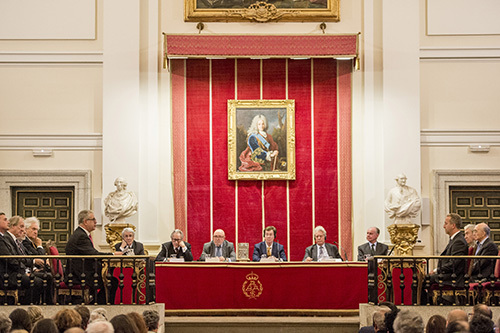 In 2013, the Second Rafael Manzano Prize was awarded to Ignacio de Medina y Fernandez de Cordoba, Duke of Segorbe, and the architect Luis Fernando Gomez-Stern for their restoration works in the huge complex of domestic buildings known today as Casas de la Judería, in Seville. This was possible thanks to a personal initiative of Ignacio Medina, who was gradually purchasing and restoring as many houses as it was possible to save in a previously very degraded neighborhood, which had been abandoned by the responsible authorities. Both humble and noble houses were restored with equal rigor, studying and recovering traditional forms and finishes. Thus a characteristic neighborhood of Seville’s historic center, crucial to understand the true identity of this city, was revitalized and its primitive beauty was recovered. 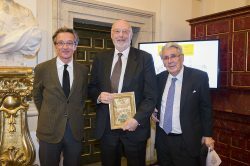 The Rafael Manzano Prize in 2014 was given to the architects from Bilbao Javier Cenicacelaya and Inigo Saloña for their work both in new buildings and restorations, being always respectful of local landscape and the architectural traditions of the places where they have practiced. 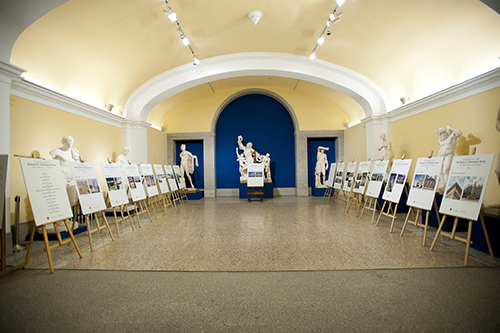 During the last decades they have also defended classical and vernacular architecture through multiple lectures, exhibitions and publications. 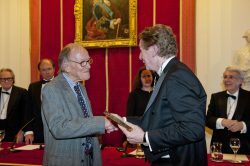 In its fourth edition, in 2015, the laureate was Donald Gray, whose work perfectly embodies the values promoted by this award. He began working in the Costa del Sol when it was still a real natural paradise, proposing a beautiful alternative, based on the traditional villages of the Andalusian coast, to the unsustainable urban development usually chosen to meet the mass tourism demand: depressing cloned rows of blocks lacking any connection with local traditions and spreading over immense green areas. He worked on the recovery of the crafts which shaped the real architecture of the region, especially through his work chairing the Crafts School in Lebrija. Settled now in Las Alpujarras region, he continues working from there in the preservation of the unique identity of the villages in that area. 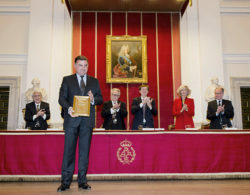 The fifth Rafael Manzano Prize was awarded to Enrique Nuere, who has not only stood out for his magnificent work restoring traditional roofs and ceilings and designing new ones, but also for having made possible, thanks to his research, to recover the body of knowledge of a craft whose details, encoded before being forgotten, no one could figure out. He has also revitalized this craft through teaching, research and his very practice. Thanks to him, today there are numerous experts and craftsmen who deal with this traditional art following the principles he rediscovered and actively disseminated. The sixth Rafael Manzano Prize, which in 2017 was extended to include works done in Portugal, has been awarded to the Portuguese architect José Baganha. His trajectory demonstrates a firm will to preserve and provide continuity within the architectural traditions of the regions in which he has worked, as well as updating these traditions and always seeking to adapt them to the requirements of our time. The entirety of his work is a model of attention and respect for its context, whether it be more urban and classic, or more rural and vernacular. In this sense, his studies on the traditional architecture from the Alentejo region should be emphasized, which have been based on his many projects built in that area, both contemporary and respectful of local identity and culture. 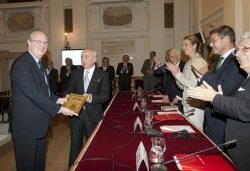 Rafael Manzano, Richard H. Driehaus Prize for Classical Architecture 2010 Laureate.